This course is part of the Royal College of Veterinary Surgeons Mind Matters Initiative and is open to all members of the veterinary practice team. The training, run by Trevor Bell, aims to help individuals better understand the signs and symptoms of mental ill-health and know how to communicate with people they are concerned about. It’s not a counselling course, but provides basic information to manage important first conversations, and understand how to point people to relevant sources of professional help. It also offers tips on stress management and staying well. 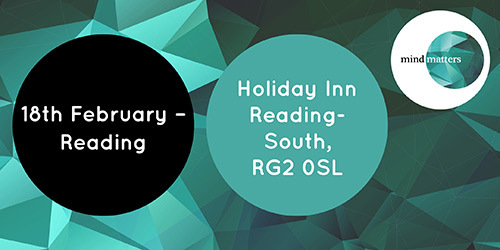 The training is being held at the Holiday Inn Reading-South and there are 25 places available. This course can be counted towards your CPD.